The 46 series is developed for the heaviest clay soils as well as lighter/sandier soils when equipped with different spade arms. 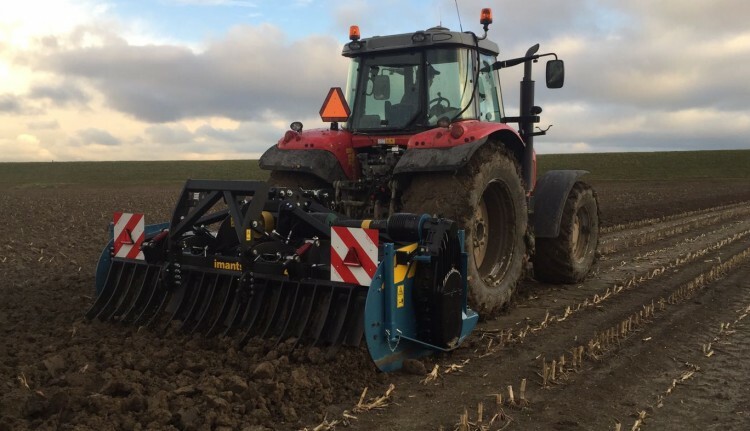 The latest changes means spading becomes even more attractive since the machine can be equipped with a PTO driven implement. New award-winning design with striking yellow stripes on the blue and black machines give them a unique appearance. Heart of the 46 is the spadeshaft which will do the primary tillage. It’s driven by the tractors PTO shaft @1000 rpm and is build for tractors between 125 and 250 engine hp. The spadeshaft is driven on one side with a gearbox. No chains on this machine! That’s not all! There are various ways to mount different implements. For example a packer roller, rotovator, power harrow or bed shaper. Primary and secondary tillage in one pass! In combination with a drill or a planter cost reductions are even greater. 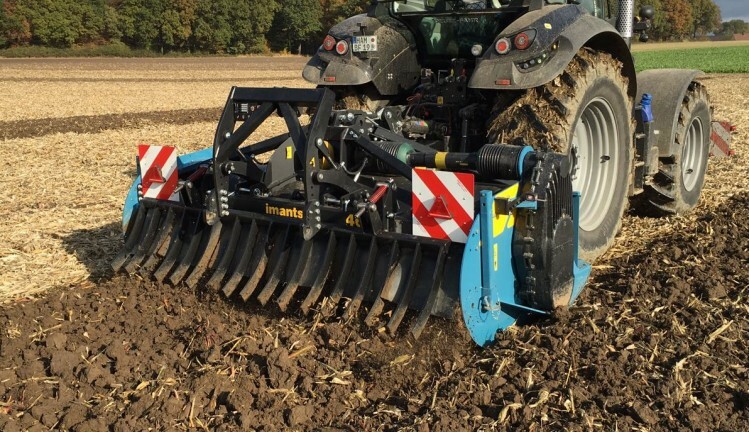 Because of the numerous possibilities this machine is THE alternative to conventional tillage. The spaders are mounted in the 3-point hitch of the tractor. Lowering the implement will get it to work the soil. When equipped with the packer roller the weight of the machine can be carried partly with it. Skids are mounted in front of the machine to control depth. 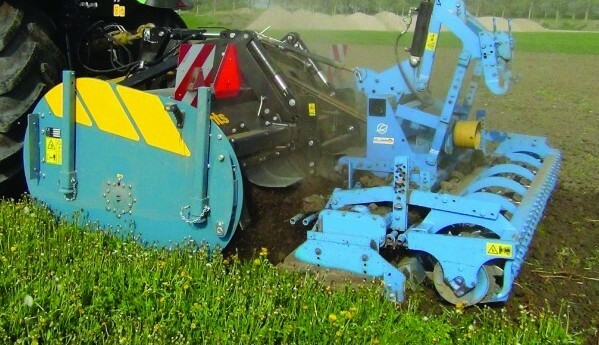 The packer will also create a light consolidation maintaining the open structure of the soil. 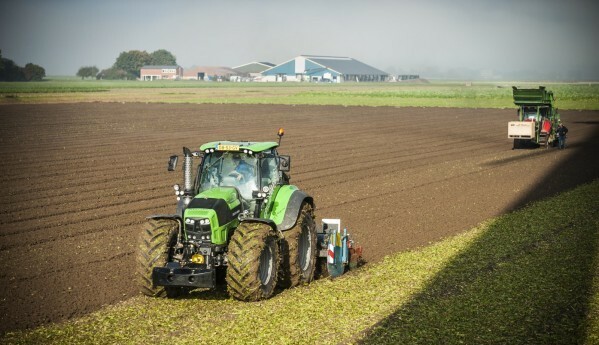 Due to the expansion of farms and the rising fuel prices it is extremely important to choose machines with high efficiency and fast work rates to reduce costs. Imants incorporates these ideals into their spaders by working the soil intensively and homogeneously. 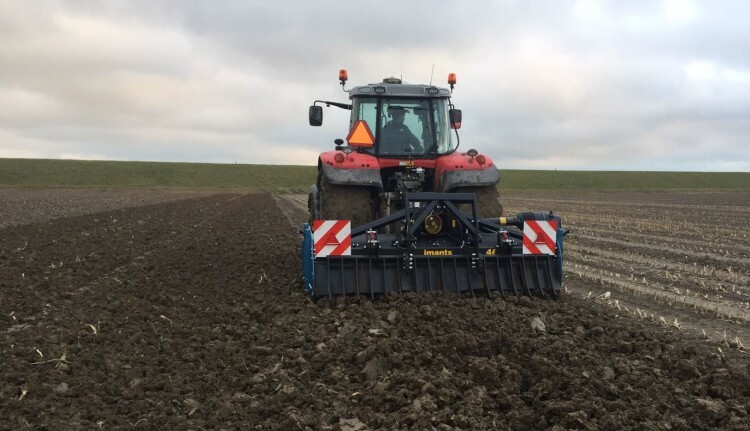 When using the rotary spader the soil is thoroughly tilled without destroying the soil structure. The soil is spaded and huge amounts of organic matter can be incorporated. Organic matter is mixed into the top layer where oxygen is available and micro-organisms are able to break down the organic matter easily. 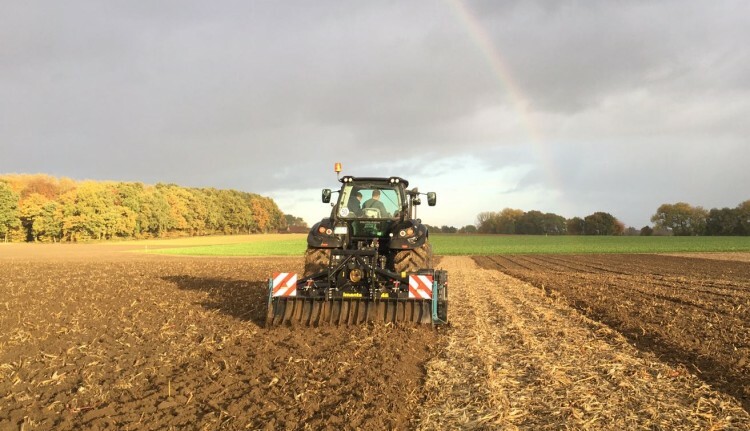 This way straw, corn stubble, green manure and compost can be evenly combined and provide the soil with the necessary nutrients. The unique construction of the spader won’t create a hard or plough pan. Therefore there will be a better capillary action and water management so that nutrients and minerals are easily available to the plants. 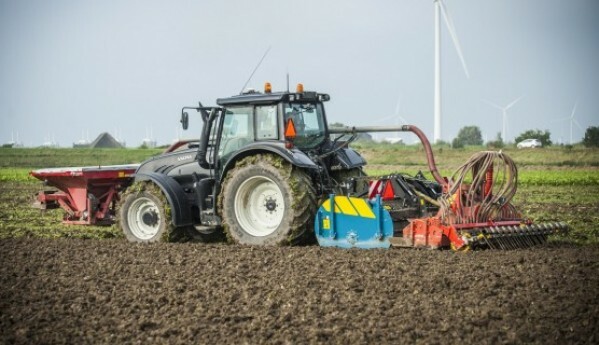 Due to the fact that the rotating spade shaft pushes the spader forward there is no wheel slip and smearing and the tractor drives on top of the soil instead of in the furrow as with ploughing. 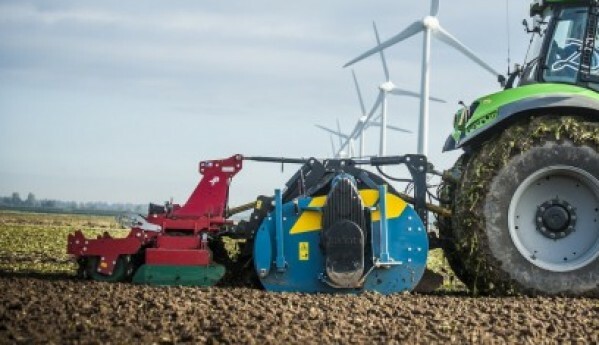 The spader eliminates all the compaction and makes a perfect seedbed. All with less fuel consumption per hectare. 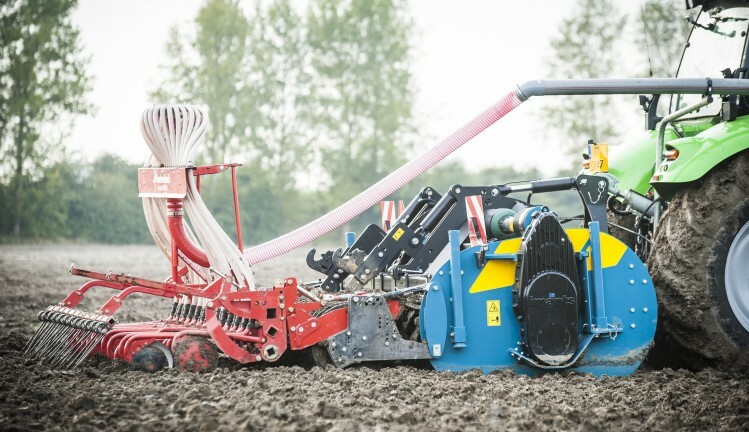 By combining machines with the spader there are even more savings to be achieved. The productivity per hour of the driver rises as the number of passes declines! 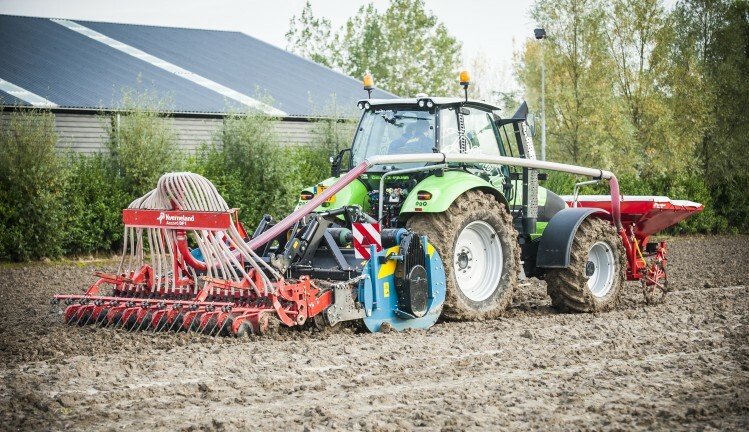 Combining the spader with a seeder or planter reduces the number of passes over the field. So avoiding compaction! The central gearbox has an 1 5/8” 6 splines outputshaft which can take a pto shaft for a 1000 rpm implement.